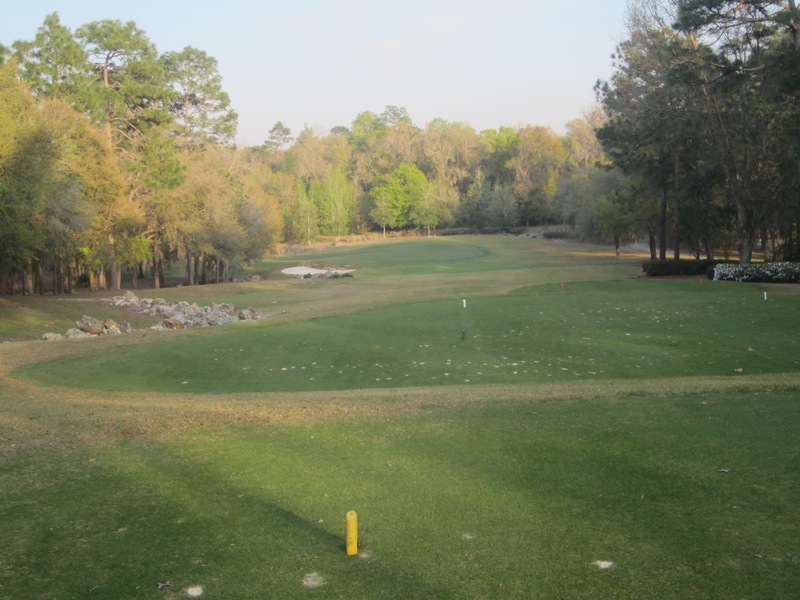 The yang to the Pine Barrens’ ying, the Rolling Oaks at World Woods is a wonderfully different course from the Pine Barrens. Both are world-class courses, challenging and long. The Rolling Oaks, in fact, is the longest course I have ever played. On a beautiful, 80-degree early-March afternoon, my friend, Dan, and I embarked on what would be a memorable 7,333 yards of championship golf. Along with two world-class courses, World Woods also features the country, and perhaps the world’s, finest practice facilities. 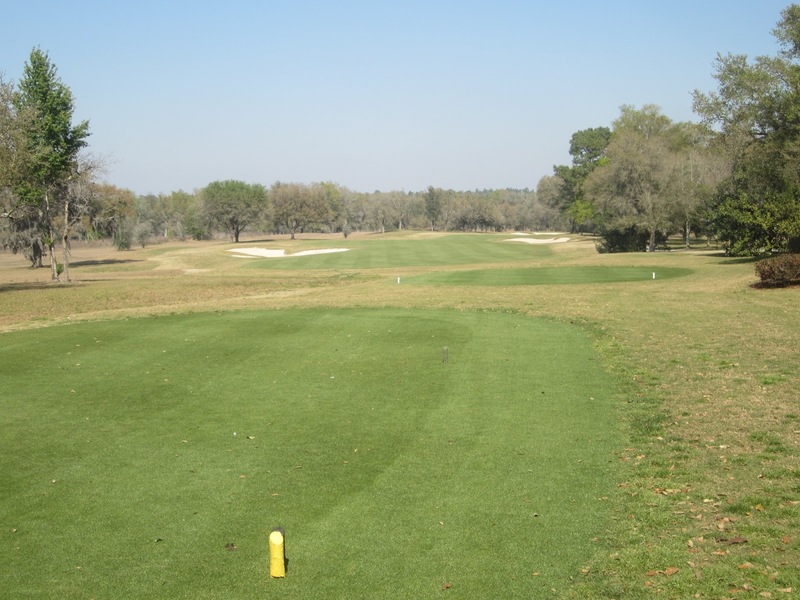 At $120 per month for full use of the course’s ranges, putting greens and practice holes, the facilities here are so well done that it is commonly used as a training ground for aspiring professionals of all ages. We had the pleasure of meeting and playing with one of those aspiring professionals, William Robbins, during our round on the Rolling Oaks. For more on this experience, please see Florida Trip and a New Fan Favorite: William Robbins, posted on March 10, the day after returning to Wisconsin. 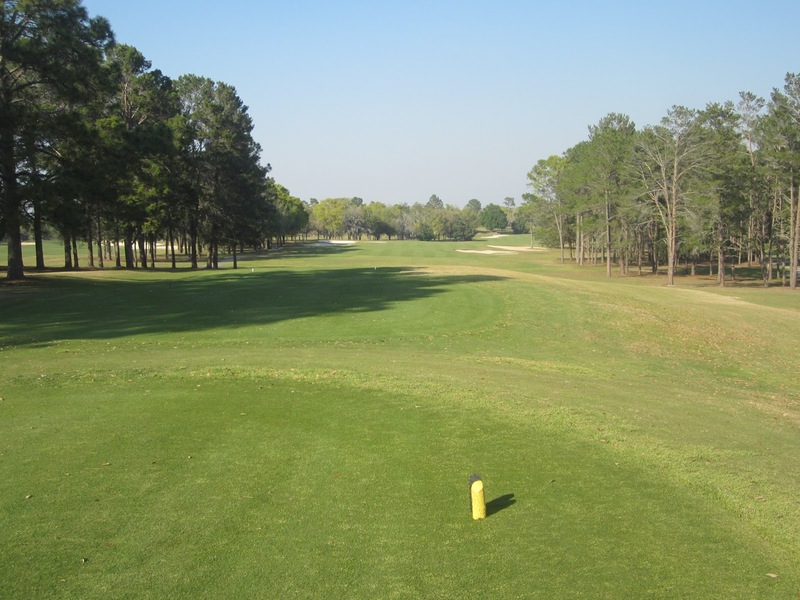 In contrast to the vast sand wastelands that litter the Pine Barrens, the Rolling Oaks is as it’s name describes: Long, rolling fairways in a woodland setting that winds through forest and features slick, multi-tiered greens. 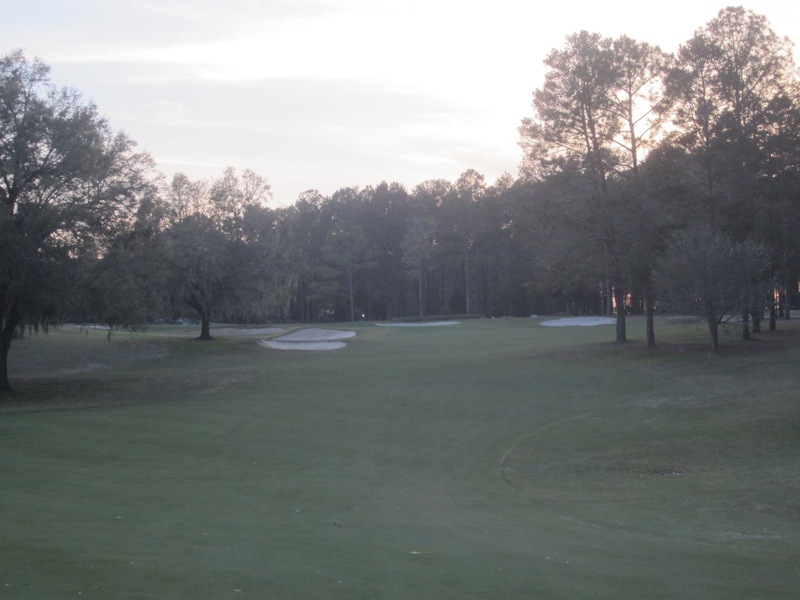 While the greens are challenging, they do not rise and fall as drastically as the ones on the Pine Barrens, and the elevated putting complexes are not as embellished as the ones on its sister track. It is a tremendously challenging course, nonetheless, especially from the yellow championship tees! The low slopes and ratings on both courses shocked me. 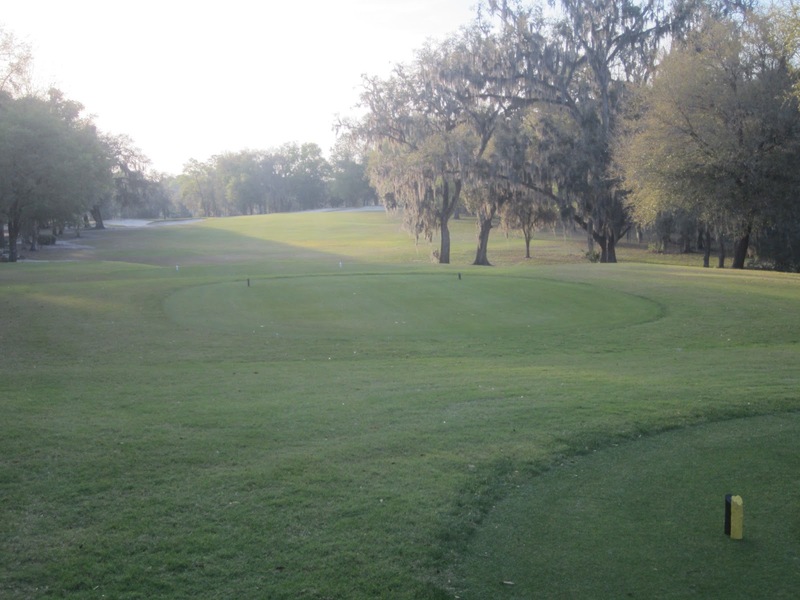 At 7,333 yards, one would expect the Rolling Oaks to have a slope nearer to 141, not 132. I asked General Manager Scott Wyckoff about this phenomenon, to which he appeared equally as perplexed. 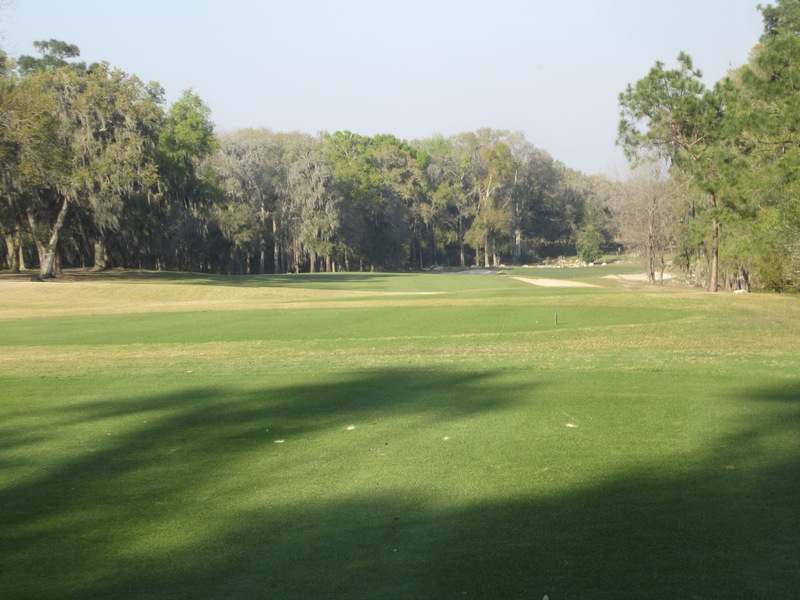 When the state golf officials visited World Woods, it was determined that sand is not as penalizing as water, which the courses do not feature an abundance of. 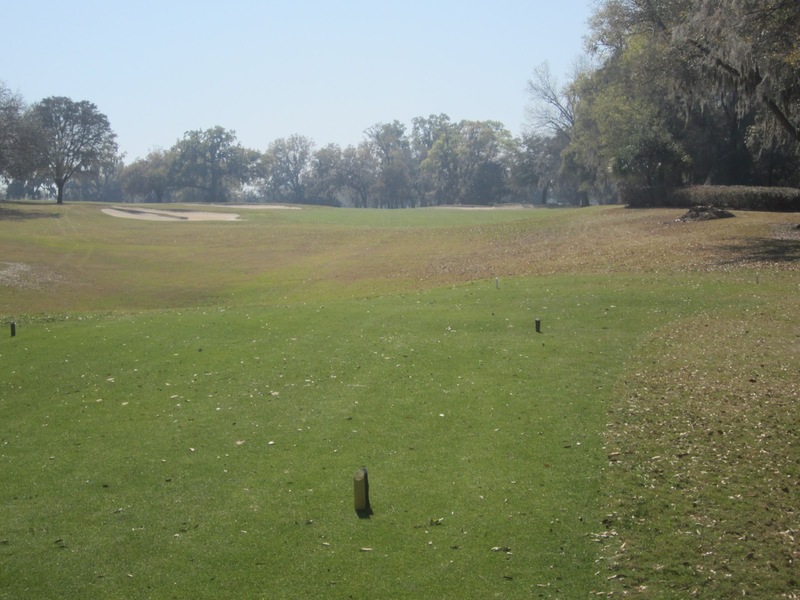 Sand, in fact, is considered to be half as penalizing as water hazards. 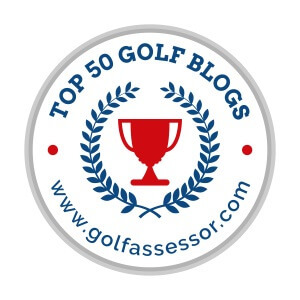 When taking in to consideration the average distances and locations of players of all abilities’ tee shots from each of the five tee boxes on both courses, and the long rolls that can be achieved on their fairways, the slopes and ratings were brought down considerably. Having played hundreds of courses around the country and having a huge sample size to compare against, I cannot help but disagree with these numbers. Regardless, both courses provide a fantastic golfing experience with as much difficulty as almost any I have played. 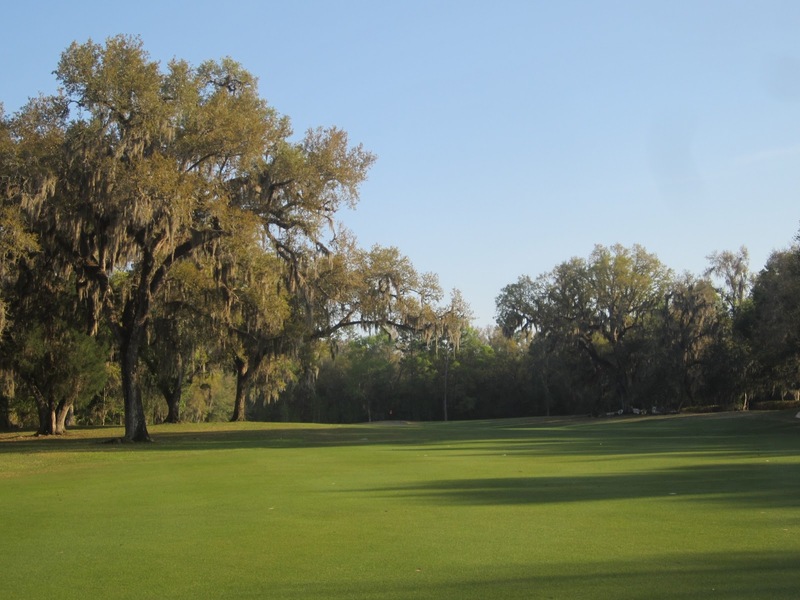 The Rolling Oaks starts out with a straight-forward par four that draws softly left. A long fairway bunker runs the right side of the approach zone, but the tee shot here is one of the most forgiving of the round. After Will putted in for birdie, Dan for par, and I two-putted for bogey, we were on our way to a great round. Two was where the 7,333 yards reared it’s ugly head: 207 yards from the back tees with a ton of sand right. William missed just right of the green on the berm of the bunker. I sliced a three-hybrid right of the traps, and Dan went left. There goes cart golf. I doubled, Dan tripled and even William bogeyed the hole. A 574-yard par five, the third hole did not get much easier. With a tree-lined left side of the teeing area and sand lining the entire right side of the fairway, three was not looking good for me. I sliced my ball right in to the trees, got myself back in to play and was finally able to enjoy this beautiful par five. If the driving area is not demanding enough, the green certainly is. With a pin location at the bottom-right of the green, an approach hit on anywhere else leaves hell to pay. This was quite possibly the fastest green on the course, which says a lot. A dogleg left par four, the fourth works well with a draw. If a draw is not in your bag, though, hit less than driver to avoid the deep fairway bunker on the outside of the left-turning elbow. A medium-length par five, avoid the right side on the fifth hole at all costs! 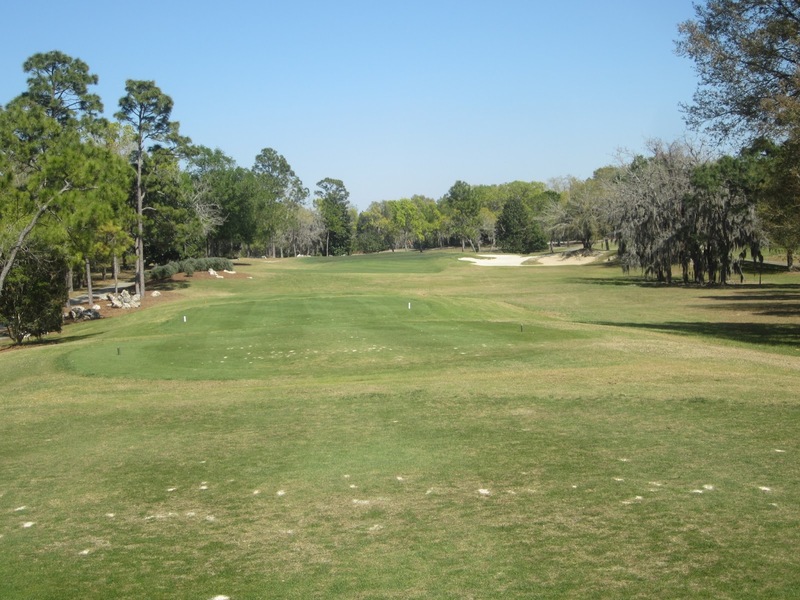 The left side affords a long second shot, and maybe a chance at the green, while anything right will find trees or sand, and assuredly a layup for a long third. 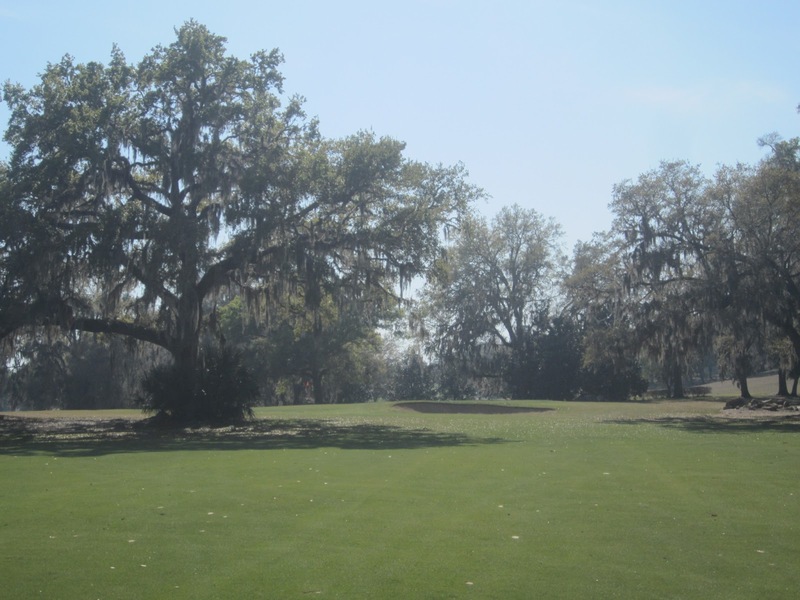 As the right side should be avoided on five, it should be played on six as a massive tree on the left side of the fairway will cause all kinds of issues to hit over or around. 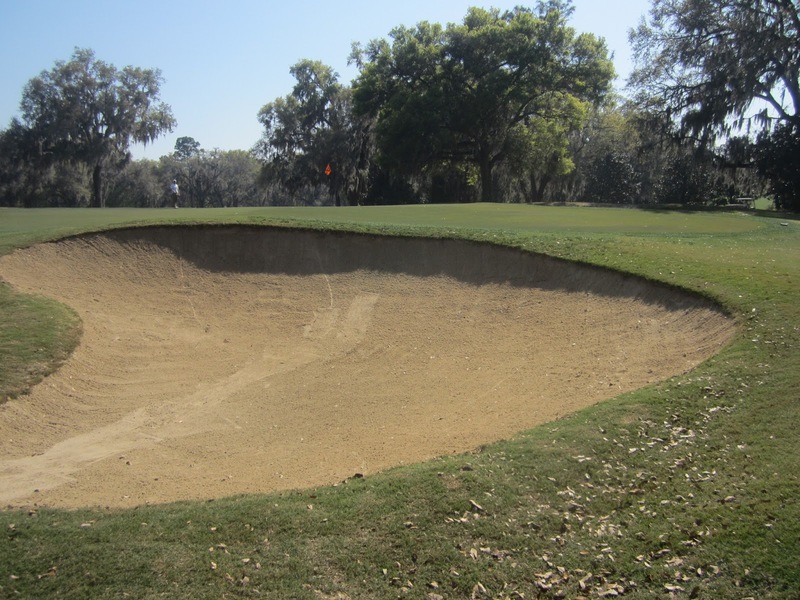 The green-side bunkers on six are representative of those found on both the Rolling Oaks and Pine Barrens: Deep and highly banked. A dogleg right par four, the seventh stretches out to a massive distance of 472 yards, and over 400 from both the black and green tees. Stay right of the trap that resides front-left of this putting surface. 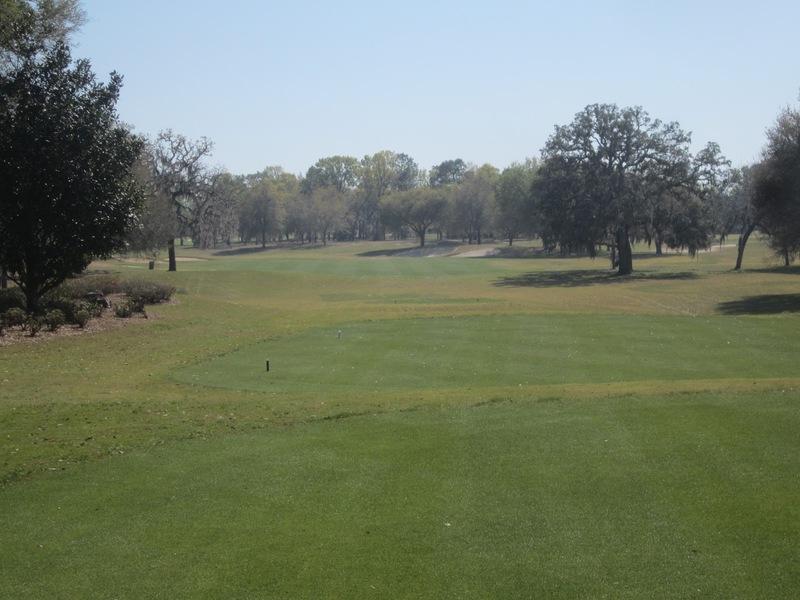 The drive up to the eighth hole on the Rolling Oaks is one of the truly jaw-dropping moments at World Woods. With highly elevated tee boxes, trouble is found everywhere. A pond fronts the green, and runs along the left side of the putting surface, while the right side is heavily wooded and banked toward the putting surface. Stay dry and consider the tee shot here a success. A near sin in my world, I somehow missed the opportunity to photograph the beautiful ninth hole. 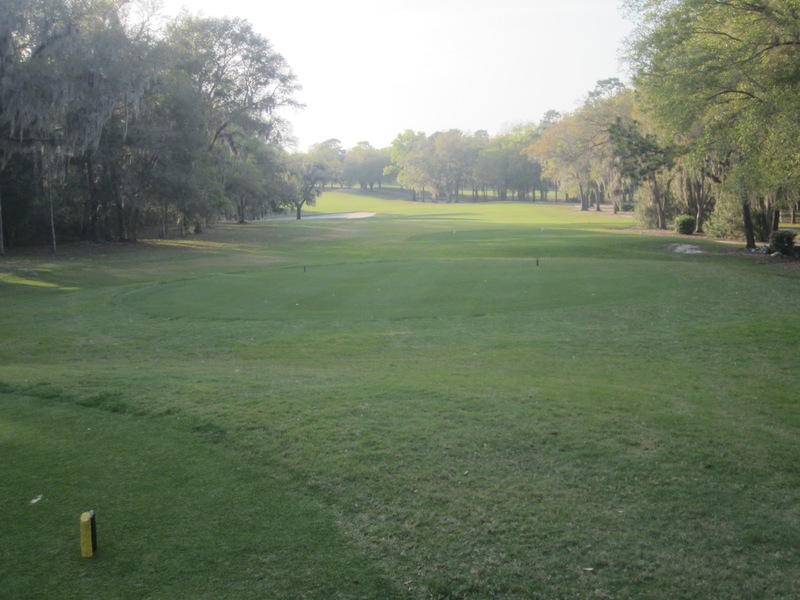 The ninth, a long, dogleg left par four, features a significant carry over water off the tee, and climbs uphill and left to a large, heavily undulating green that drops off fast toward the front-left. The tenth is a beast of a par five. At 606 yards from the tips, a long drive here is essential. Dan laced his drive well over 300 yards straight down the middle, then hit driver again from the fairway to roll ten feet on to the bottom of the putting surface. 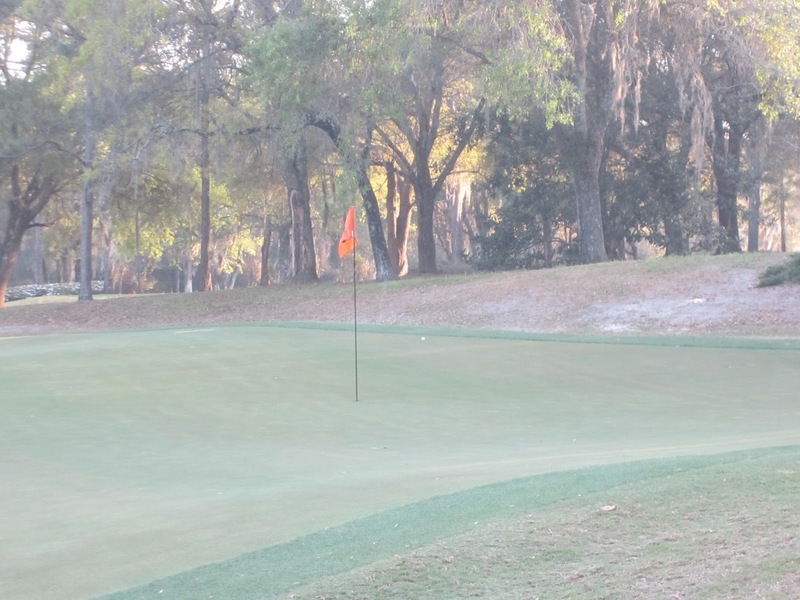 With a 30-plus foot putt left uphill, he was able to two-putt for a well-deserved birdie. The eleventh is a beautiful par four. With a fairway landing area mowed in diamonds, the landing spot here is easily visible at around 260 yards from the championship tees. The approach, though, is long and uphill to a multi-tiered green that climbs steeply from front to back. Twelve is a fun downhill par four with a dogleg right. Anything cut here is liable to run downhill for a great tee shot. 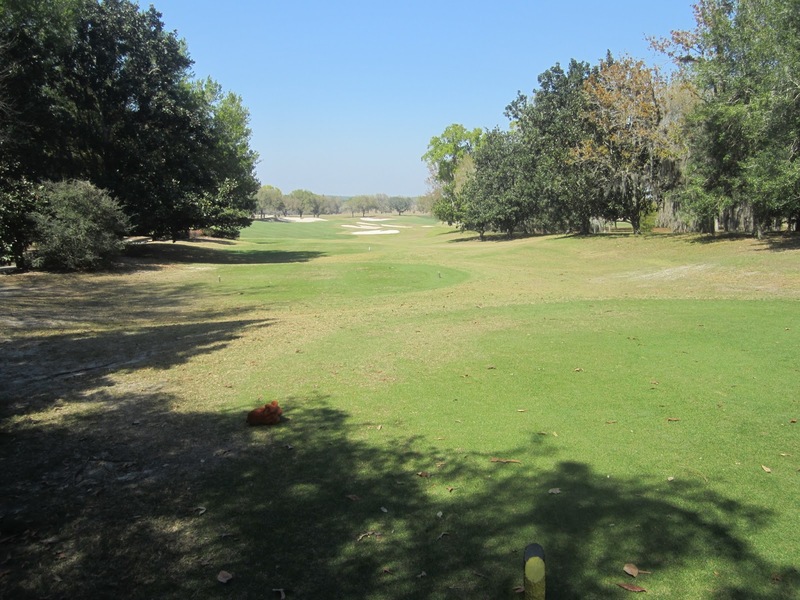 The hole looks shorter than it is, at 387 yards from the tips, but a good drive should leave a short wedge in. Thirteen is a tough par three! 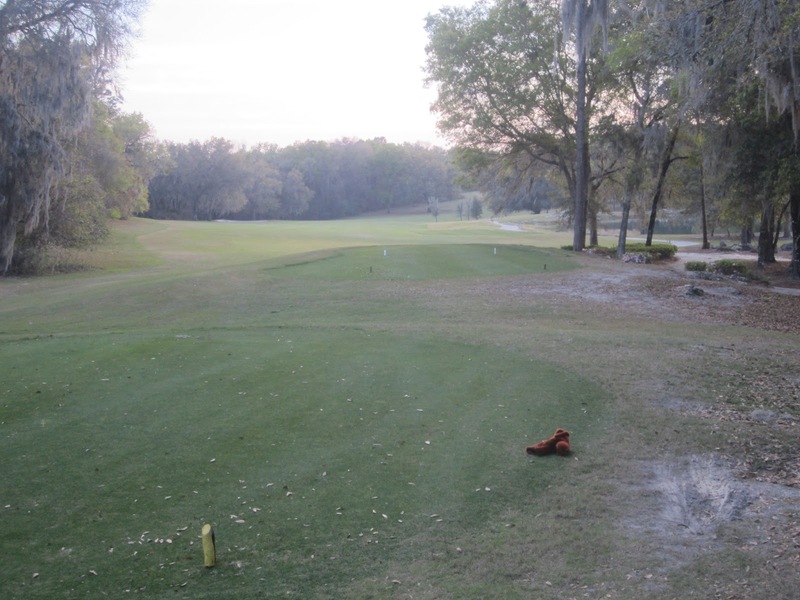 At 238 yards from the back tees, the driving area is bordered by trees making any bent shot dangerous. A long, straight fairway wood is required to hit this green in regulation. A lone deer grazed in the fairway on the long, stressful drive of fourteen. With a sharp dogleg left, the fourteenth must be drawn off the tee to leave anything less than a four-iron in. Hitting the left side of the fairway will result in an approach blocked by a large tree on that side of the fairway. After hitting two three-woods flush, I found myself on the front-left with a long, double-breaking putt uphill. This is a great, but challenging, par four. Keeping with the theme of long par fours, the fifteenth sets up at 480 yards from the tips. Another dogleg left, the green has one of the most severe breaks on the course. Be mindful of the grain on these Bermuda greens as it will affect putting speeds significantly, especially when downhill. Being one of my first ever rounds on Bermuda grass, a lesson on reading grain from Will was much appreciated. I hit my best five-wood of the day in to this green, only to result in a lie on the back of the green on top of the huge break, shown below. Yes, I three-putted for bogey, but was then shown the correct line by Will, which was more than 90 degrees left of the hole along the fringe: A class-A bender, for sure. Another monstrous par three, sixteen plays from 233 yards from the tips and 197 from the more normal green tees. Left of the green drops off significantly in the rough, making the right side the best spot to miss. We were given some great advice on this hole: Choose a tree in the background to aim for. With a back-middle pin location, the greenest tree toward the middle was a perfect aiming spot. Will’s shot landed within a foot of the hole, only to roll off the back, while Dan’s shot came up just short and easily two-putted for par. I pulled well left in to the tree line, and was forced to pitch out and then on, eventually two-putting for double. 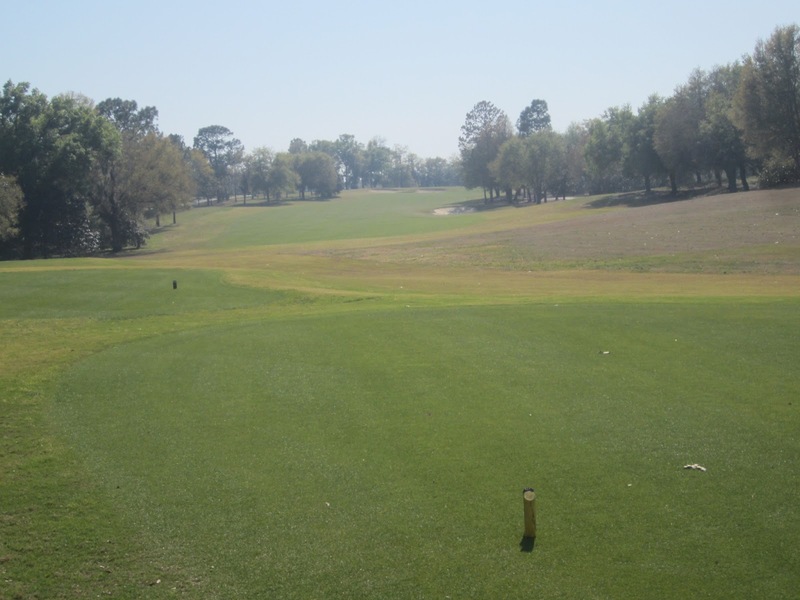 Another dogleg left par four, the seventeenth hole on the Rolling Oaks allows for one of the shortest approach shots on the course. 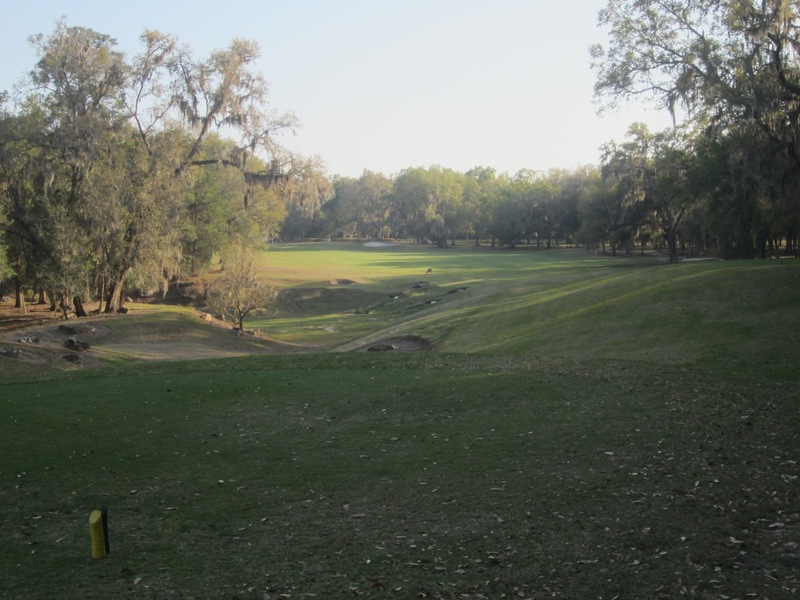 A short (for World Woods) par five, the Rolling Oaks finishes with a demanding, double-dogleg par five. The tee shot needs to avoid the right side for any shot at the green, but cannot be too far left, either, unless laying up over the treeline. A row of large trees blocks the green from the right side, forcing a layup from there, as well, that can still force a second layup… Yikes. 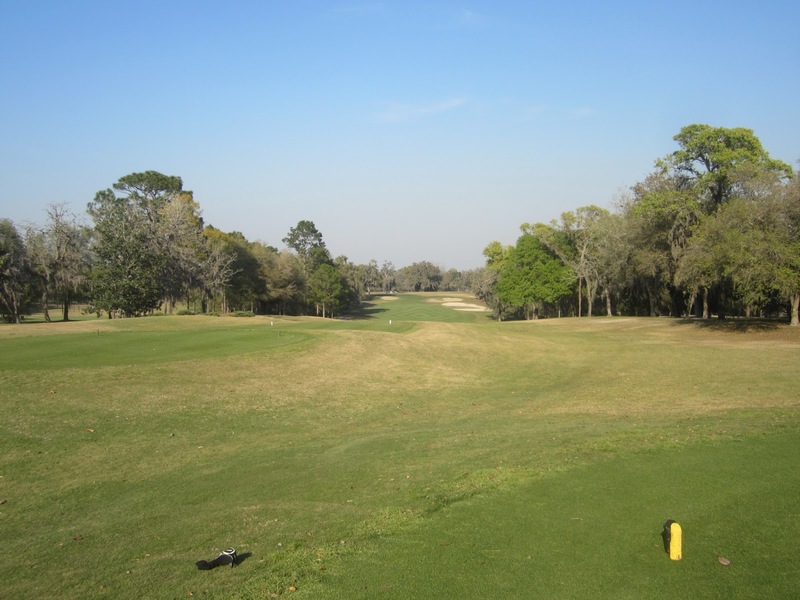 The best approach to the eighteenth is to the middle of the fairway for any shot at hitting the green in two, or to the left side of the fairway for an unimpeded second. 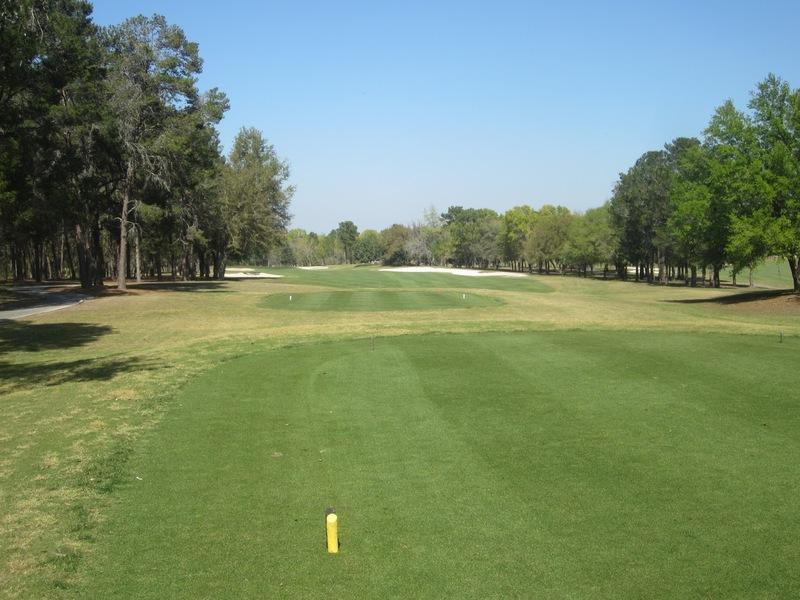 The front-right portion of the green features a cliff of an undulation that if over-hit leaves a come-backer that can be considered successful if it stays on the green at all. 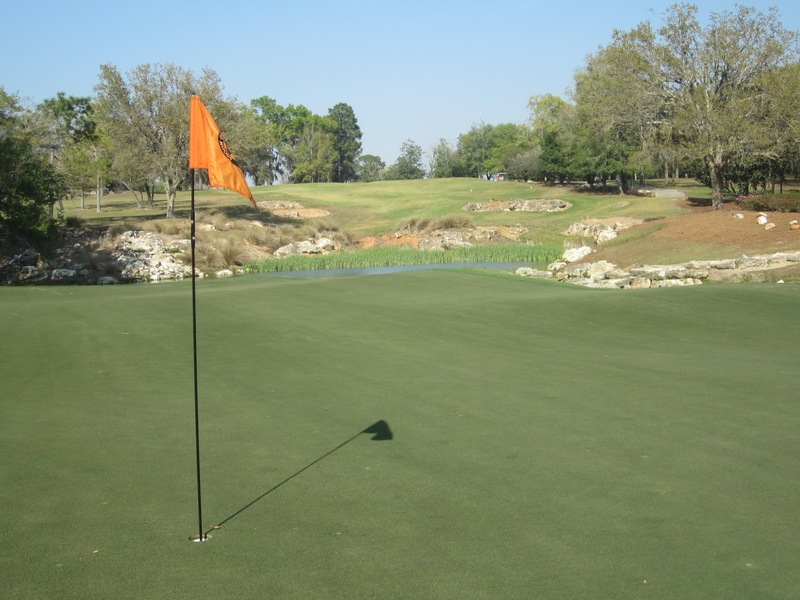 Take note of the pin location before approaching this tough putting surface. 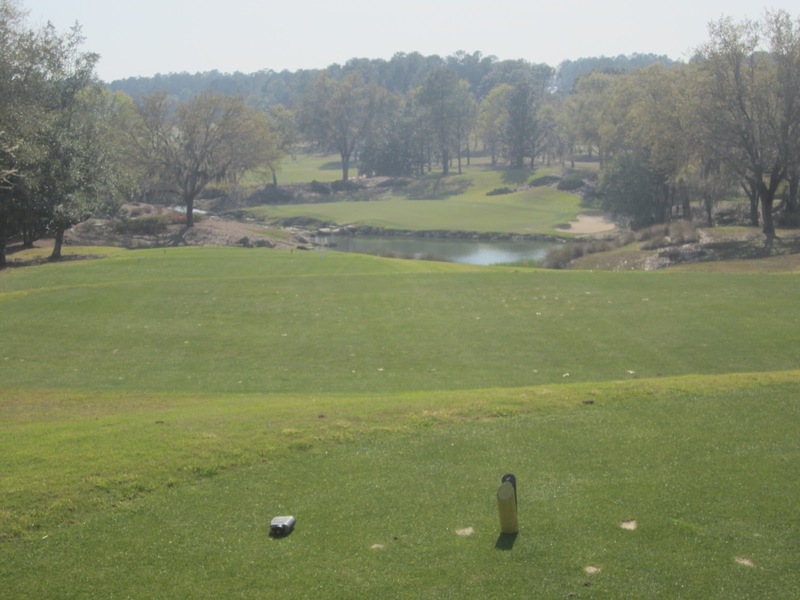 While not quite as awe-striking as the layout of the Pine Barrens, the Rolling Oaks at World Woods delivers a great golf experience on a beautifully manicured course, and the perfect woodland complement to the wild and rugged Pine Barrens. 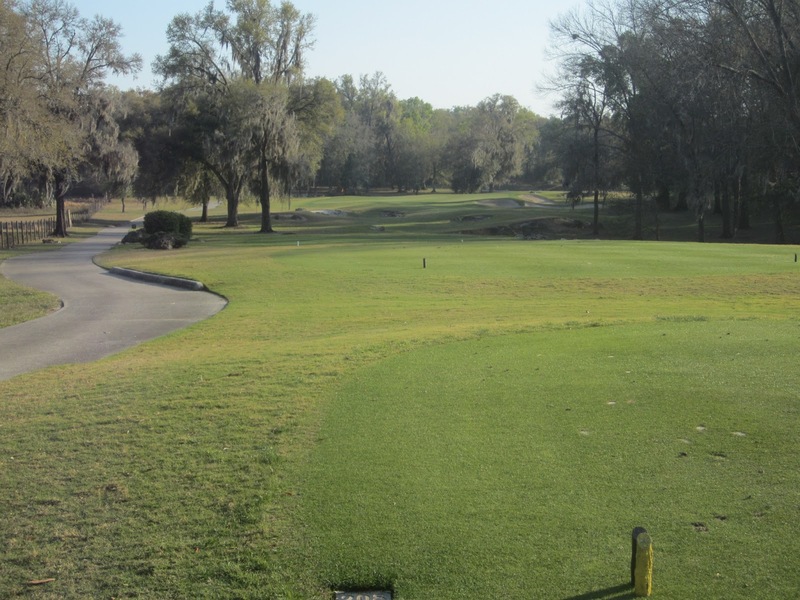 If you find yourself in the Brooksville/Homosassas Springs area, save a day to play both. 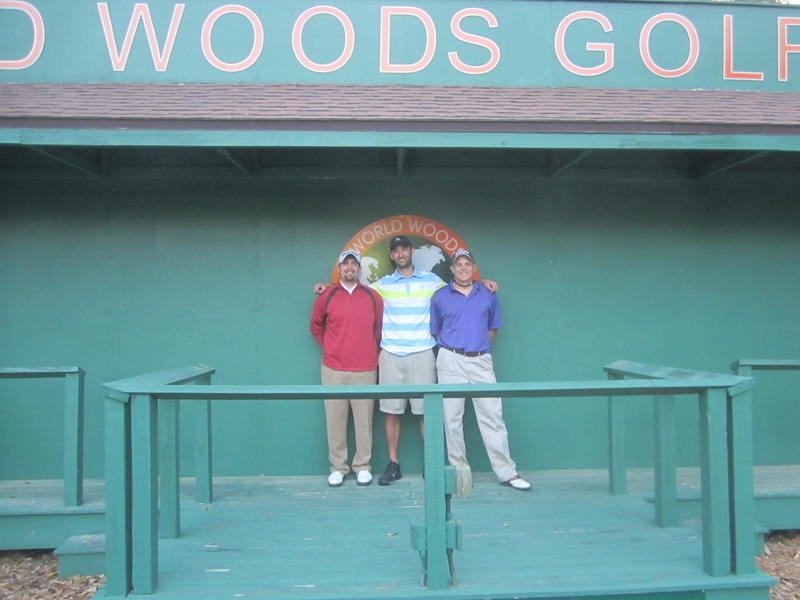 Then, save a little more time to take advantage of World Woods’ great practice facilities. You never know who you might meet, and you’re sure to experience Florida golf at it’s best.